As hinted in recent interviews with Tetsuya Nomura, it has finally been confirmed that 'Classic Kingdom', the mini-game that has been teased for 'Kingdom Hearts III', will finally be making its appearance in 'Kingdom Hearts Union X [Cross]' with the release of version 3.0.0 to commemorate the game's third anniversary. This update will be available in Japan on September 6th (no word on when the international version will be released). 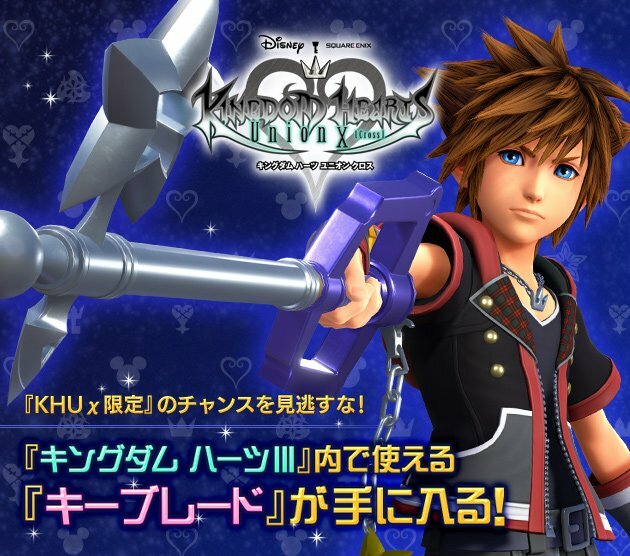 In addition to the arrival of the 'Classic Kingdom' mini-game, it has also been revealed that for a limited time, those who complete a certain high score with the mini-game in 'Union X [Cross]' will receive the Starlight Keyblade from the mobile game in 'Kingdom Hearts III'! KINGDOM HEARTS Union χ [Cross] Thank you for your third anniversary. 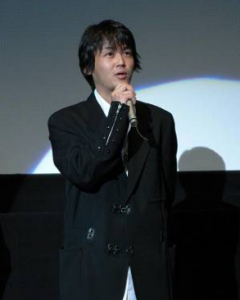 It is Nomura for the first time in a while. Although it may not have been so long since recently. Well, it has not been three years since "Union χ", but it seems to be counted from "Unchained χ" in terms of operation. If that is the case from "χ [chi]", it has been more than five years already, but it does not seem to count. That's why it's the third anniversary of something funny, but this time it seems to be a different celebration. Although the development of "KINGDOM HEARTS III" also remains a little bit behind, the mini game "CLASSIC KINGDOM" in "KINGDOM HEARTS III" precedes it and precedes it "System to become like to play" with "Union χ" It is finally implemented. As long as it is "a system to be able to play", it is named "χ 3". It's short but it is hard to understand how to pronounce it. Not only "CLASSIC KINGDOM" but "KINGDOM HEARTS III" in this "χ 3" is a menu design imitated by Sora, new content such as communication tools will be prepared. For details about this area, please also refer to announcement from operation. I have kept you waiting so long, but the main scenario will be updated next month. Actually, the scenario event part of "Union χ", including myself, is also part of the staff of "KINGDOM HEARTS III" and I am sorry that I can not update it very much, but it is finally over. I think that this time it is a story to which the core of the story will be visible. And next time the main scenario will be updated, there will be new characters there too. I think that it will become more interesting development. Also, until now, it had contents to go over the existing Disney World, but it will be expanded to the new world at last. Along with that, we are preparing the mysteries and new developments in the world of "Union χ", so please continue to enjoy "KINGDOM HEARTS Union χ [Cross]". will distribute celebration stones, not apologies , caught on "KH 3" and "3rd anniversary" . UPDATE 9/5: The Starlight promotion has been confirmed for the global version of the game in a Square Enix Twitch stream today! No date has been given, but it will be coming west soon! Players simply need to achieve a high score threshold to obtain the Keyblade; it isn't a competition like other events in the game. As evident in the time table above provided by Square-Enix, Kingdom Hearts will be featured in their annual E3 livestream, with 'Kingdom Hearts Union X[cross]' being the focus at 10:30 a.m. PDT, while 'Kingdom Hearts III' will be featured at 3:00 p.m. PDT. While their appearances seem to just be gameplay/demo related, there is always a chance Tetsuya Nomura might make an appearance to discuss further developments with these two games.